This March, Disney Junior and LEGO DUPLO are traveling across the country to bring a fun and exciting experience to young children and their families. 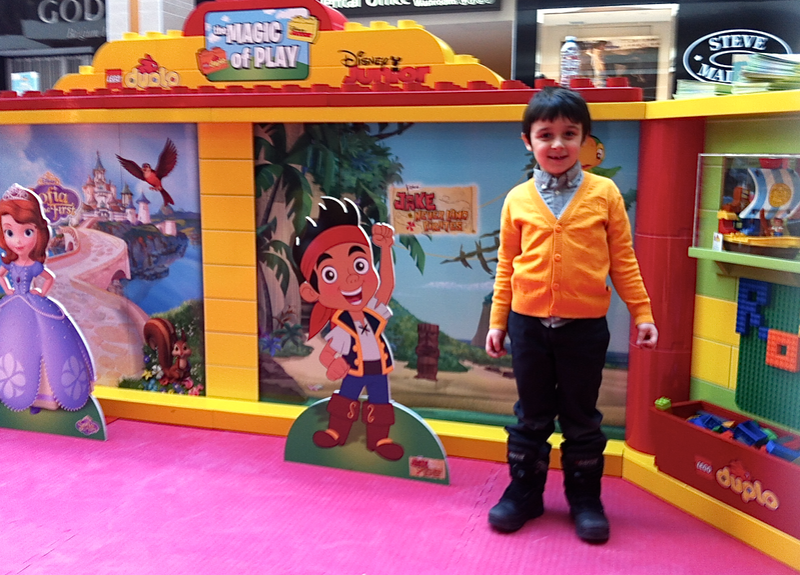 The Magic of Play Tour will bring free indoor events to five cities at seven malls across the country and offers kids the chance to play with LEGO DUPLO blocks while watching some of their favourite Disney Junior shows! I was recently invited to attend a special filmed event at the Fairview Mall location and, as one of the original Disney Junior moms, I was delighted to partake in the exclusive experience with my five-year-old son. It's all about developing a sense of adventure, right? 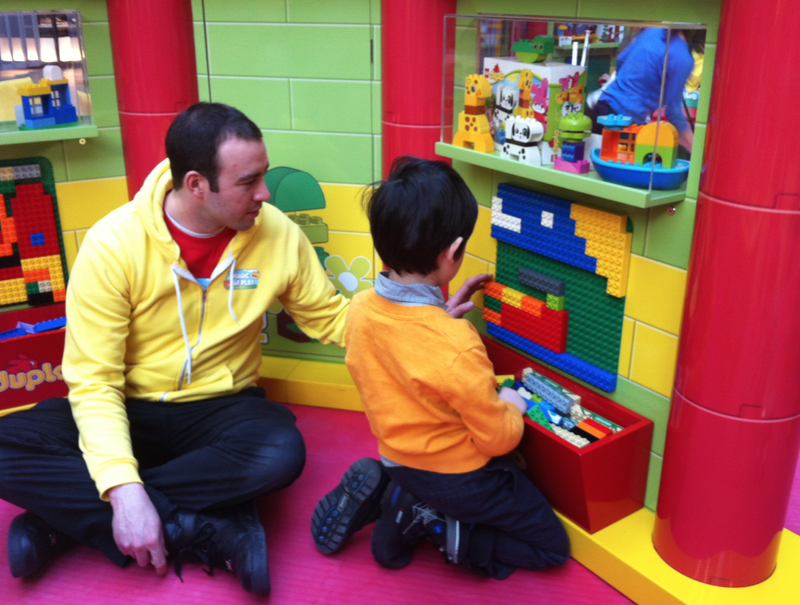 The Magic of Play centre was jam-packed with lots of fun building stations and a variety of LEGO DUPLO blocks. There were also several enthusiastic Magic of Play reps on hand to engage the little ones and make sure they were having fun. My son took an instant liking to Tristan who was simply amazing with the kids and funny, too! My son liked him so much, he adopted him as a Big Brother and dragged him along to virtually every station, completely oblivious to the camera crew. It was so cute to watch! 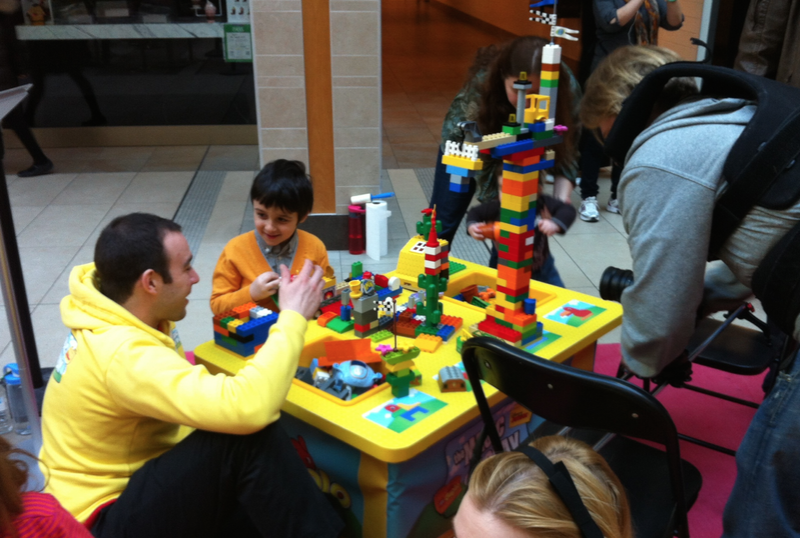 He also enjoyed playing with the LEGO DUPLO train set while watching Disney Junior on the big screen. In total, we spent nearly two hours at the Magic of Play centre, stopping only for a bite to eat and a bathroom break. What a great way to spend some mommy-son time, even if I had to compete with Tristan for my son's attention. For more information on the Disney Junior LEGO DUPLO Magic of Play Tour including dates and locations, visit DisneyJunior.ca. Yes, Lynda, he had a wonderful time! And so did I. I love building with LEGO! Oh my gosh, that looks like so much fun!! Very neat experience! I wish I knew about this earlier! this would have been great for my 2 L/O. Ill have to keep an eye out next year, thanks! Wow what a neat tour! It looks like so much fun.